The "Pokemon Go" craze has certainly waned, but if you're still checking into Pokestops on your way to work, I have good news! On Nov. 2, Niantic Inc., the creator of the popular alternate reality game, announced that an update that rewards returning players is on the way. "What is a "Pokemon Go" daily bonus, exactly?" you may be wondering as you start incubating yet another egg. Well, those who consistently try to catch 'em all will soon be rewarded for their loyalty with extra points. What's more, these bonuses are cumulative, so the more days you play, the bigger the rewards. You can think of it like trying to keeping a Snapstreak alive. 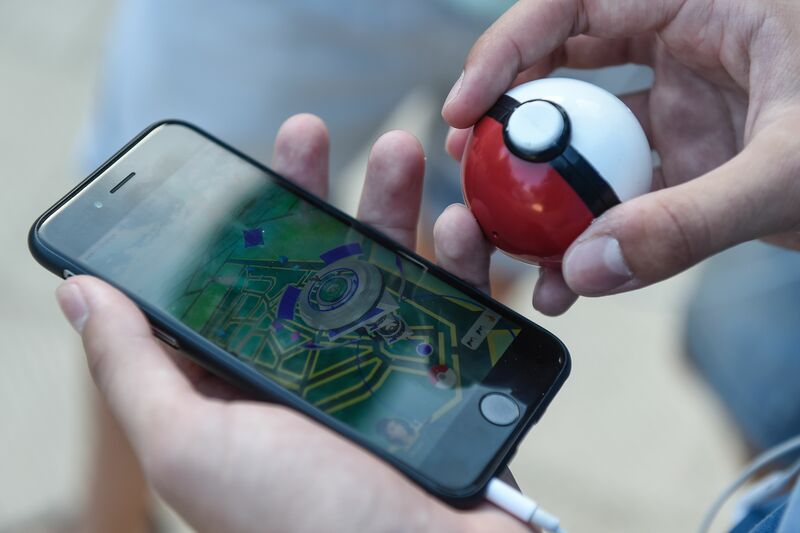 "Trainers will soon be able to receive a bonus for certain daily activities, including catching a Pokemon or visiting a Pokestop once a day," Niantic explains in a recent blog post. "You’ll earn a larger bonus if you do this seven days in a row!" If your trainer level has reached a plateau and you lack the drive to continue to fill your Pokedex, this update may help you advance through the game at a faster pace. So what are these exciting new bonuses, exactly? Niantic details that catching a Pokemon daily will earn you the additional bonus of 500 XP and 600 Stardust. These extra boosts can greatly help trainers evolve and power up their prized Pokemon, without as much footwork. Comparatively, trainers earn between 10 and 100 XP (depending on the throw) for each Pokemon they catch, or 600 XP for catching a new one. 500 XP is equivalent to evolving or hatching a new Pokemon each day. Those who catch a Pokemon every day for seven days in a row will earn bonuses of 2,000 XP and 2,400 Stardust. Considering that the only way to get even close to those numbers previously was to evolve a new Pokemon every day (each new Pokemon evolved nets 1,000 XP), this update is certainly a generous one! When will players receive these bonuses? The "Pokemon Go" week begins on Tuesday, and as Niantic explains, "you’ll be eligible for the next daily bonus on Wednesday at 12 a.m. local time." The weekly bonus will be acrued the following Wednesday after midnight. This could very well be the easiest "Pokemon Go" shortcut ever. While Niantic has not yet revealed when exactly they will make this update available, we can assume it will be sometime in early-mid Novemeber (before the holidays). Rumors have been circulating since the success of the "Halloween event" that Niantic is planning a similar in-game event for Thanksgiving. Now if only they'd release some of the legendaries, amiright?